Isn't it wonderful when things start to really click with something you're learning to do? That's how it's starting to feel for Body&Soul and creative business life lately. It's taken a long while to get to this point and there were times I wasn't sure I was going the right direction, but the path feels so right and clear now. Plants have called on me strongly my entire life and I know being a "healer" is my calling. That doesn't mean things haven't been chaotic, the early business stress and pains are still here, but much easier to handle! 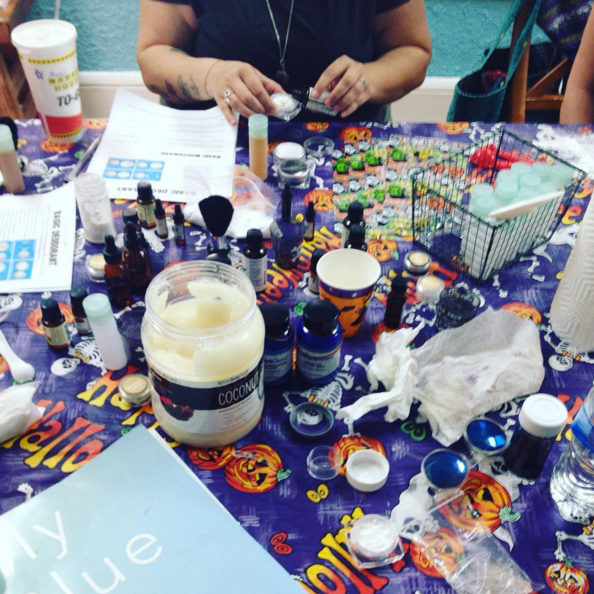 For the curious, I wanted to share some behind-the-scenes on what an herbalist and/or aromatherapist would be doing at any given time. On top of normal production I accommodate custom orders for any type of herbal/aromatherapeutic natural skin/body/medical/home care you can imagine. 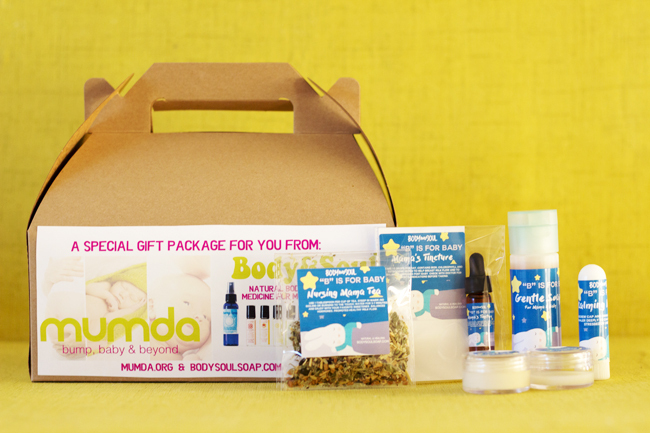 This sampler set of my "baby" line above was requested as a gift set for new moms from Mumda and has a nursing mom tea/tincture, baby and mom lotion, baby bath (not pictured), complexion soap and lavender inhalers for calming. Behold the finished set! I love customizing products for businesses with specialized labels, it satisfies my always hyperactive designer-brain. 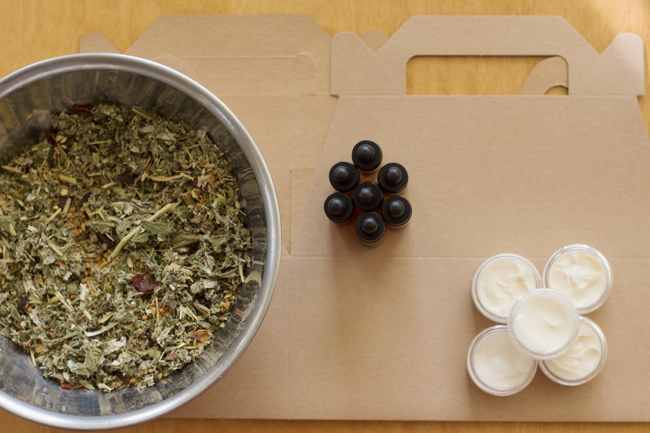 From product formulation to label creation, it's fun to be in control of the whole process. At any given time I'm making labels, products, and merchandise. 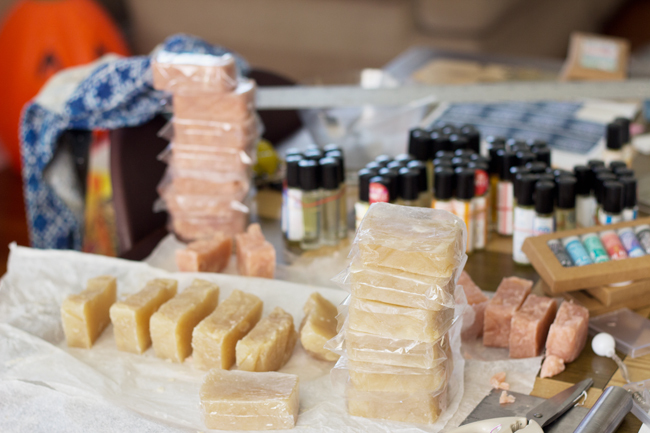 I do outsource the soap creation to my mom (we got certified in herbalism/aromatherapy together) because damn, busy! I help with input on formulation, cut, and wrap it. 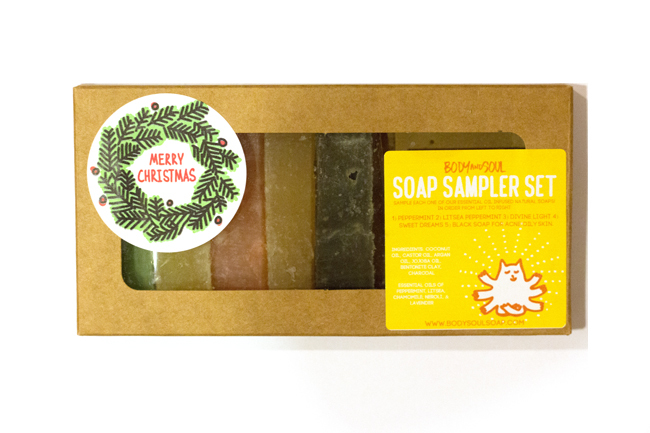 We're working on more shampoo and soap bars. 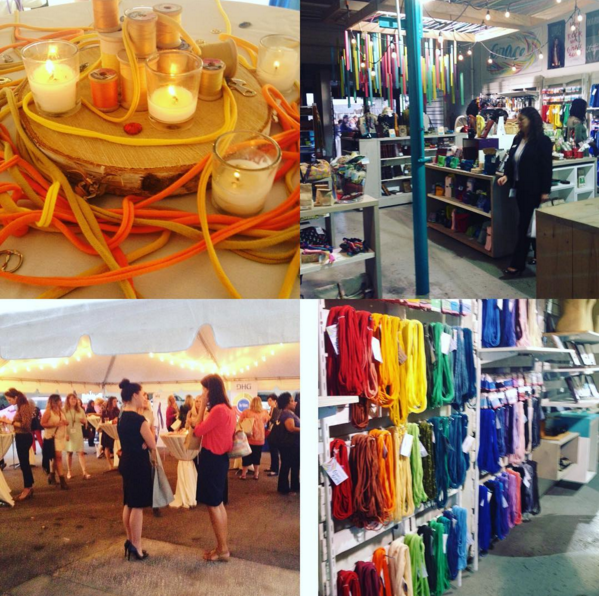 Doing outdoor markets is essential right now and I love the face-to-face customer interaction. Above was from a set-up in Orlando. We'll be going to Conscious Festival in Daytona this weekend and as many markets as we can fit in for the next couple of months! 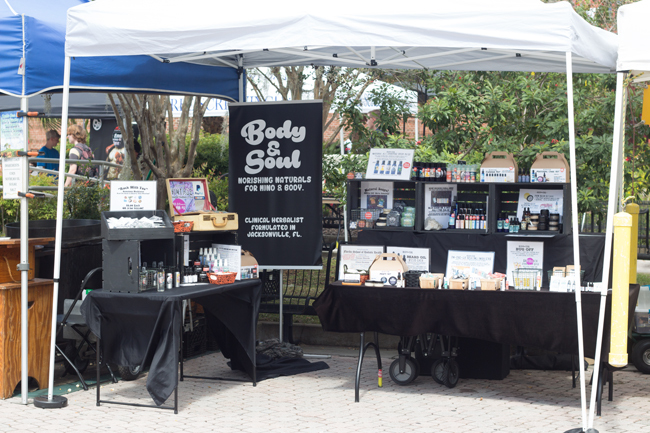 We're also set-up in front of the Copper Closet in 5 Points every Saturday, come on by and say "hi!" if you're local. And above is a quick snapshot of the mess we made for our product creation class recently. I'm trying to fit in more holistic body care creation and just general holistic and even craft/creative business classes in. We made deodorant, toothpaste, dry shampoo and mouth wash at the last one. I'm thinking cold care/prevent and natural product christmas gift creation next. How's this busy season treating you lately? It's 2:25 AM and I have two markets lasting all day tomorrow, sleep time! Thank you for sharing this behind-the-scenes peek, Vanessa! Wow! You are crazy busy with everything! As someone interested in aromatherapy and small independent companies, it's great to see how everything goes together. Your gift set for new moms looks great! I loved reading more about your wonderful business! Omg, the packaging for the custom set is so cute! It's great you and your Mom team up on the soap production. Many moons ago I used to help out my mother in her aromatherapy shop :) The best of luck and happy sales at your upcoming markets! Thank you, I learned the hard way packaging is paramount so I work hard on it all the time :O it's fun though! So awesome your mom had an aromatherapy shop! We're trying to get there with an apothecary one day. Congratulations on all your success! More and more people are getting smarter about what they use on their body so I know your business will continue to grow. :) Cold remedies is a great idea. I hate taking medicine. Luckily I don't get colds often but I love the yucky neti pot when I do! Yeah we've noticed that, it feels good to help people heal and get away from dangerous products at the end of the day. 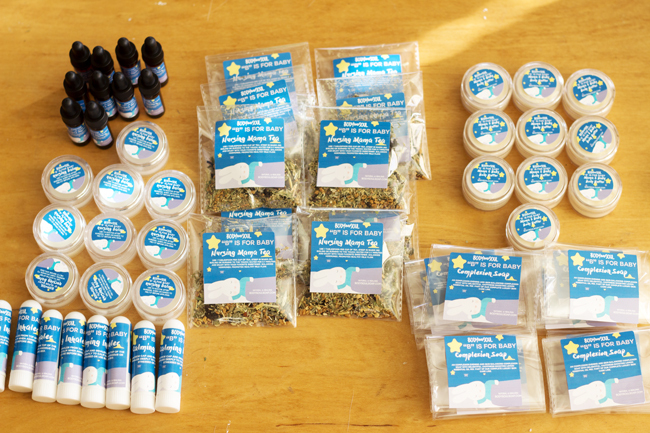 We make lots of plant medicine and healing products for lots of ailments.